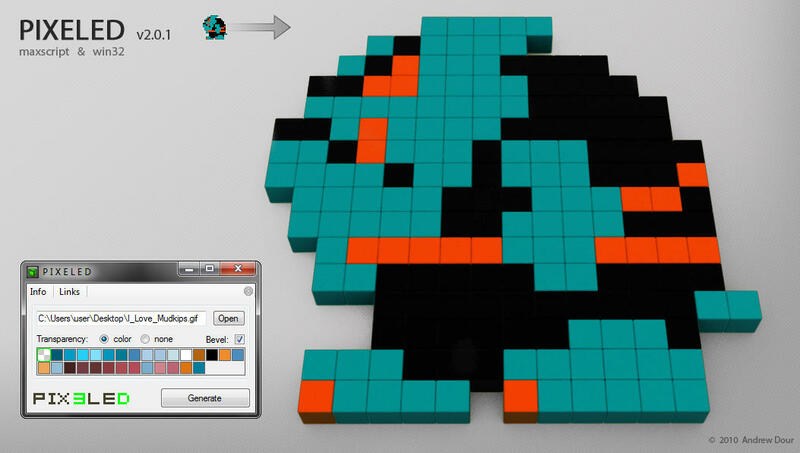 This tool converts 2D sprites into 3D in seconds. Inspired by the Pix3leD Project, a project based or rendering retro sprites in 3D (started by my good friend Matt Raithel) We would share links back and forth to cool websites devoted to cataloging old sprites, then it dawned on me: I had recently been working on some maxscripts revolving around reading bitmap data... so why not automate the whole process from the sprites we find instead of building out the 3D pixels on a grid one by one. Submitted by alexnguyen on Wed, 2014-04-23 18:20. Submitted by CrewmanInRed on Tue, 2014-04-22 07:28. Thought I'd post this since no one has responded in a while. I'm running max 2014 64bit on a windows 7 machine. I've checked .net installation version as well as directX version. Both are beyond required versions. Standalone will continually crash when export to .obj file. It will create the file and the .mtl file but they're empty, no data. If you find time to look into this I'd appreciate it. Thanks. Submitted by fajar on Wed, 2011-10-26 04:17. Submitted by lantlant on Tue, 2011-10-25 13:46. Submitted by thedour on Wed, 2011-03-30 07:06. I've not tried importing the .obj into maya. Perhaps maya takes a specific .obj format (there are several different types actually). I'll look into it if I can get ahold of a maya trial. Submitted by the3rdK on Wed, 2011-03-30 00:29. I tried this nice script standalone edition. 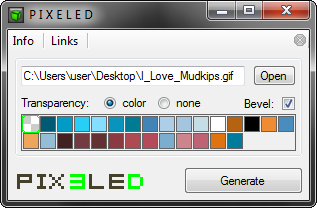 And succeeded gif convert for obj. But maya system will be freeze when imported obj. Someone tell me why, please. Submitted by thedour on Fri, 2011-01-14 11:55. @ rs3d - I considered adding that at one time, but thought if people wanted to animate these in some way that it would be best to have them be separate object. Additionally if someone wanted to changes colors/materials: they may not want to change all the blocks at the same time. But maybe I can add that as an option. For now though, each color is given its own material, so you could "select by material" and merge them together very easily/quickly. Submitted by rs3d on Fri, 2011-01-14 10:36. Submitted by thedour on Sun, 2010-10-10 21:58. Submitted by Anubis on Sun, 2010-10-10 16:00.